It was announced today that Mellissa Larkin, Founder and Managing Director of SA based legal and consulting firm, Peripheral Blue, has been named in Lawyers Weekly’s Partner of the Year Awards list of honourees for 2019 in the category of Innovation. 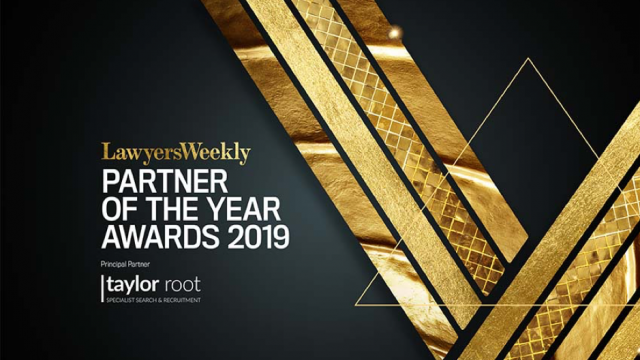 The Lawyers Weekly Partner of the Year Awards, in partnership with Taylor Root, showcases outstanding performance by partners, or partner equivalent, across individual practice areas within the Australian legal industry — the only national awards program to do so. The finalist list, which was announced today, features over 190 high-achieving partners across 29 categories. “Lawyers Weekly’s Partner of the Year Awards recognises those at the top of their game, showcasing the achievements of leaders going above and beyond for their firm, clients and the community at large,” said Lawyers Weekly editor Emma Ryan. “Peripheral Blue’s recognition for its excellent contribution to innovation in the legal industry reinforces the strength of our brand in connecting with the community and engaging with customers,” Mellissa explained. Mellissa said that she was humbled to be recognised among Australia’s best partners and proud to be a part of such an exclusive network. Melissa Larkin is the Founder and Managing Director of Peripheral Blue Legal and Peripheral Blue Consulting. In launching this firm in 2016, her aim was to disrupt the legal and professional services industries by giving clients access to top tier, yet flexible, affordable and responsive legal and advisory services. A graduate of Flinders University, Mellissa has worked at high profile firms in Australia and internationally, having completed her Masters in Law at Trinity College, Dublin. She lives in Adelaide with her husband and three children.